Argent has been appointed by East London NHS Foundation Trust to provide electrical services, planned preventive maintenance, and reactive maintenance for the Trust's Mental Health Units. Argent is a London-based facilities management company, serving over 200 public and private sector clients at 300 locations throughout the capital and Home Counties. 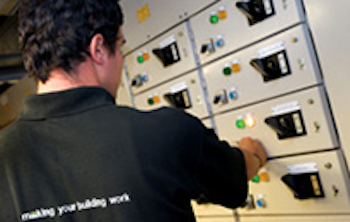 The buildings we maintain range from hospital complexes via corporate HQs to large-scale residential buildings. We help create better environments, giving our clients and end users comfortable buildings to work in, that deliver best value throughout the life of the building. Many of our clients have worked with us for over ten years, with current client satisfaction results indicating that 98% are ‘very pleased’ with our service. And if there was a survey the other way, we would be saying the same about our clients – we genuinely value and enjoy the close working relationships we build.